We (finally!) had craft time today. This kept them entertained for a reallllly long time. The idea initially was to dip the snowmen in white chocolate before decorating. I, being right on top of things as always, realized too late that we didn't have enough white chocolate. So we just used little dabs of frosting as glue instead. I gave each kid a different color toothpick to use for the glue. Pretzel sticks would've made cute arms too, but yeah... didn't have those either. The Girl. 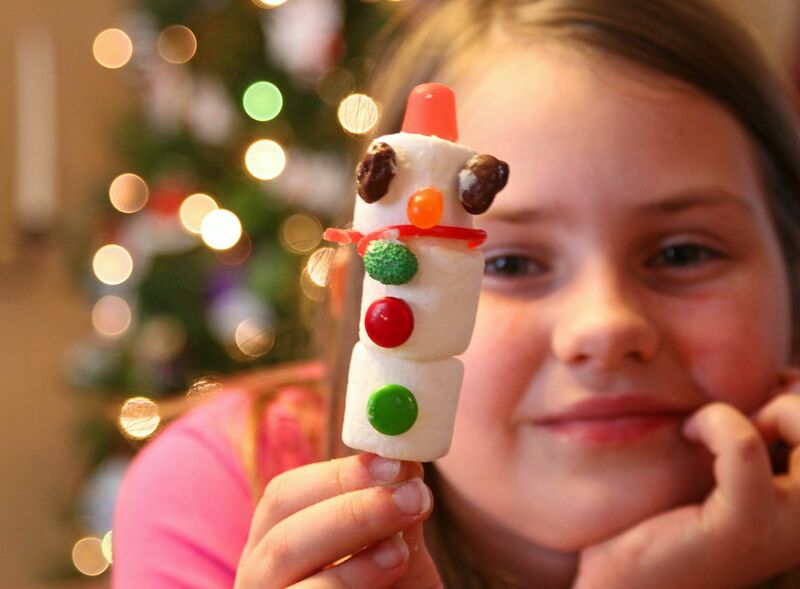 I realize I should be looking at her or her creation, but did you see that amazing Christmas light bokeh behind her?! Ohmygoodness. Can't even stand it. From this day forward every picture I take will be in front of a Christmas tree. Mine. Yeah, I made one too! The kids can't have all the fun. My camera battery died right as I was taking pictures. No big deal really except it made me realize I haven't charged it since early Fall. That tells me just how few pictures I've taken recently! Crazy. I can't wait to start taking them more often again. And to create new jewelry again. Just you wait, there's big things coming from me. p.s. The winner of the Life is Sweet necklace is Laura! You really need to check out her blog. This couldn't be more perfect for her. Such a great post! Made me smile super big! And your children are beautiful. Now, I've got to add these items to my last minute shopping list so we can make some! So cute...the kids and the snowmen! 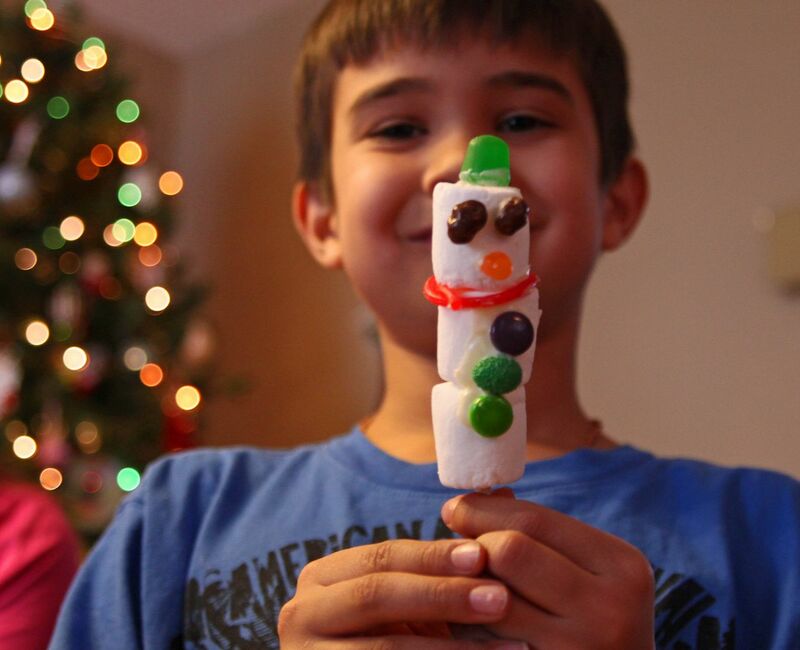 We made 3D paper snowmen today...I love a craft I don't have to shop for! My Hannah is all into crafts and she would LOVE this one! I will have to get some gum drops and pretzel sticks! Very cute-my kids would love these! Lovely pictures. Really nice. 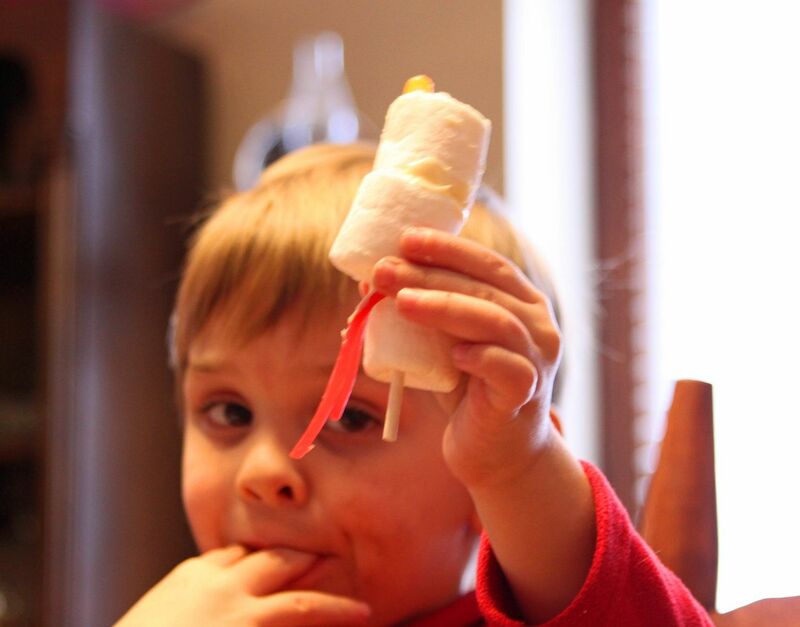 I remember making these when my kids were younger. Merry Christmas, Beki! THanks for being a friend through the blogosphere. Wish you were coming to Blissdom so we could all meet up in person! those little crafts are super cute! Merry Christmas! so cute!!! and yummy looking. hope you have a merry and blessed Christmas. Love that craft!!! Sounds so fun! And you are right...those lights are gorgeous paired with your kiddos! ahh... i'm so glad it's laura! perfect. and those are very cute snowmen! With kids it probably worked out better with the frosting instead of chocolate - didn't have to worry about it being too hot and kids getting burned fingers and with frosting it something even younger kids could do. 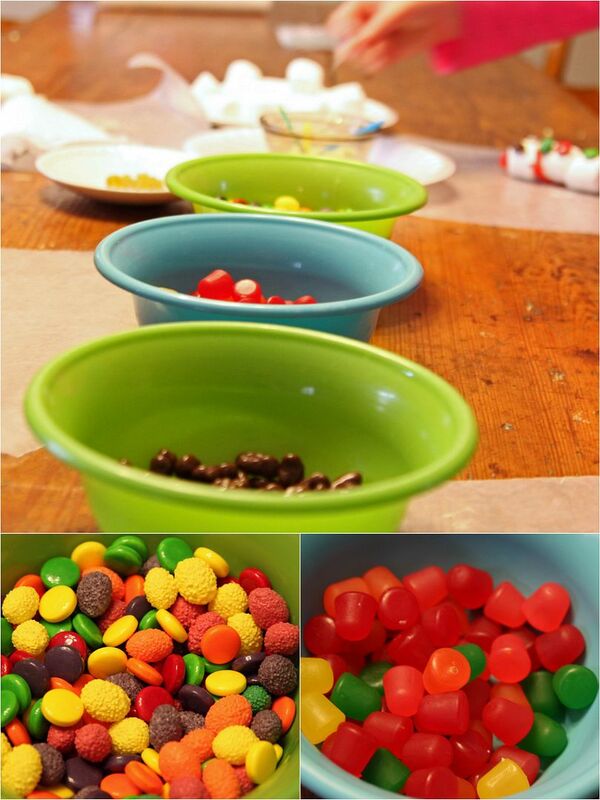 Fun project...I like the kind you eat, then you don't have to find a drawer or a shelf on which to stash them forever!! :) And there are no worms that eventually come out and wiggle around on your dining room floor...ewww! Acorn projects from school will no longer be allowed in the house! Thanks for your comment on my blog! 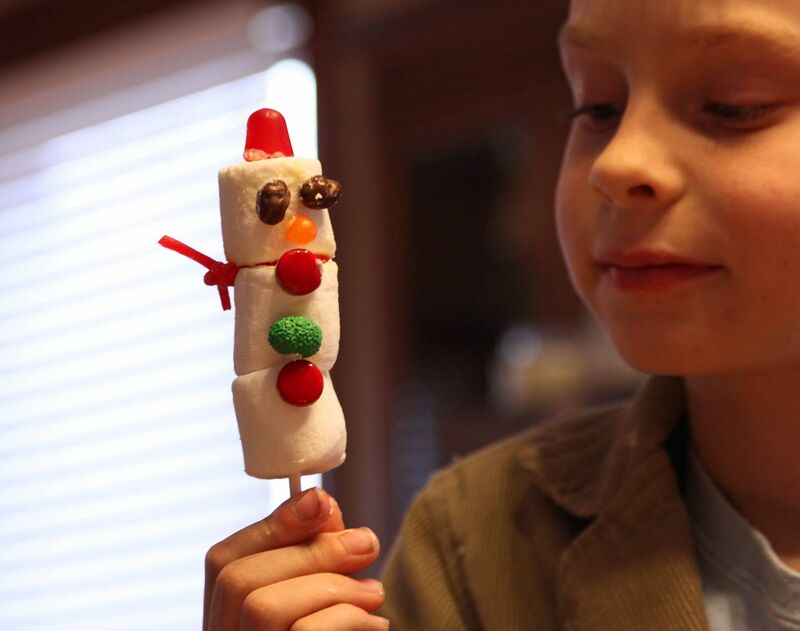 Loooove the marshmallow snowmen. 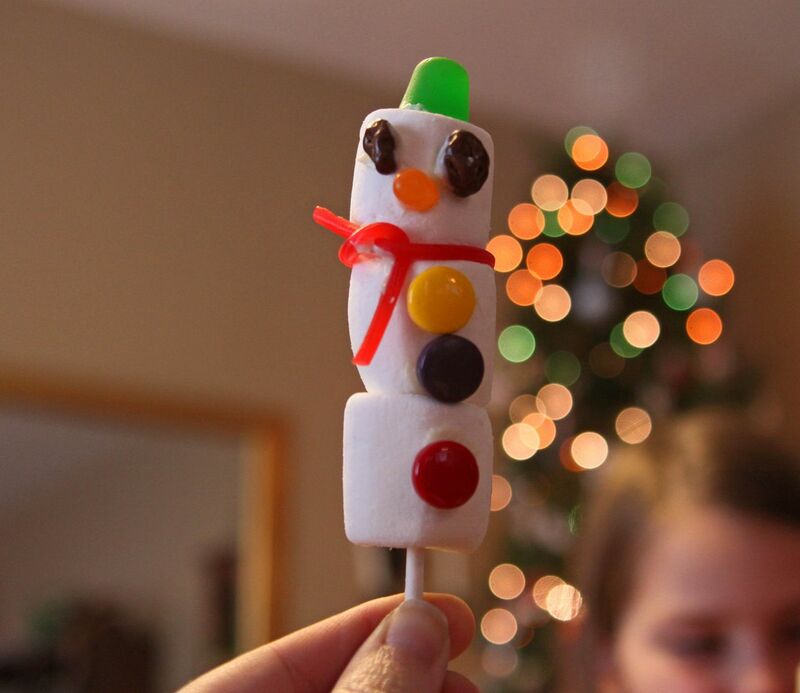 I love the yummy snowman idea for my two year old. That will be perfect for next year.